Observe the world in new ways! 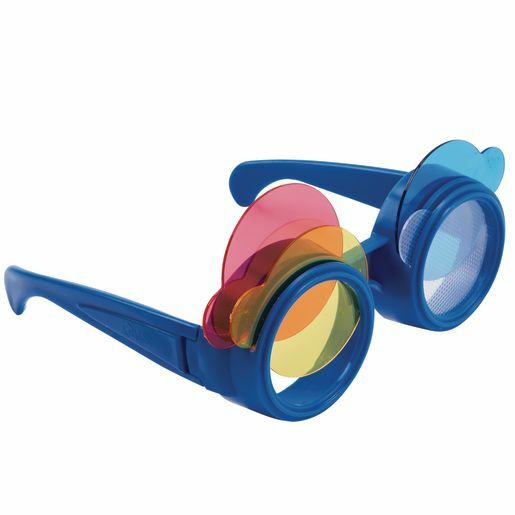 Children can mix lenses to make different colors or add textured lenses (with or without colored ones) for kaleidoscopic fun! 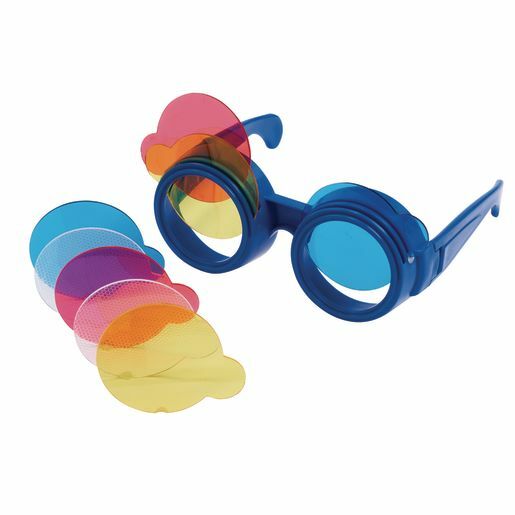 Unique kid-size glasses come with 8 interchangeable lenses: 2 each of blue, red, yellow and clear refraction lenses.